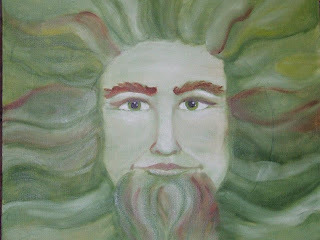 A painting of The Green Man, who is said to come out at Spring and help the season to change. He's quite fun to paint. This is the second painting I have done of him. He rocks.